The first Android Wear 2.0 smartwatches will launch in the first quarter of next year, according to Android Wear product manager Jeff Chang, who took part in an exclusive interview with The Verge. The two new flagship models will not have Google or Pixel branding, but rather branding from the undisclosed company manufacturing them—so one of Asus, Huawei, LG, Motorola, or a few other brands. Following the launch of Google’s two flagship models, other vendors will release new Android Wear 2.0 smartwatches throughout 2017. 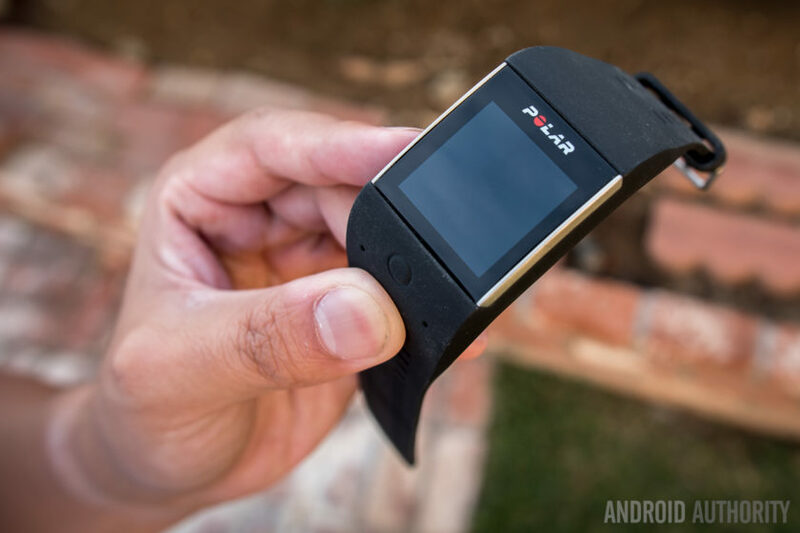 The first Android 2.0 smartwatches are expected to be announced at CES in the first week of January. Other product unveilings will follow at the Baselworld trade show later in 2017. The new Android Wear smartwatches will compete with the Apple Watch, which remains the best-selling smartwatch following the launch of new Series 2 models in September. Google also faces competition from Samsung, which runs its own Tizen software on its smartwatches rather than Android Wear. Android Wear 2.0 will support native, standalone apps that do not require a paired smartphone to work, in addition to Android Pay and Google Assistant. 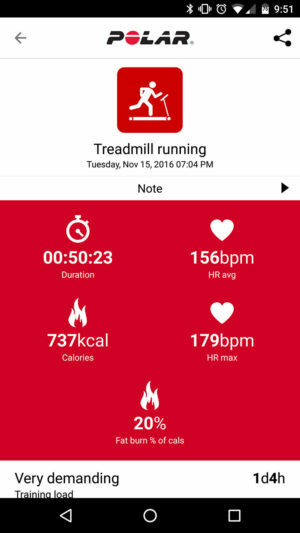 The new version will also feature Apple Watch-like complications on watch faces and a Material Design makeover. The final developer preview will be released in January. 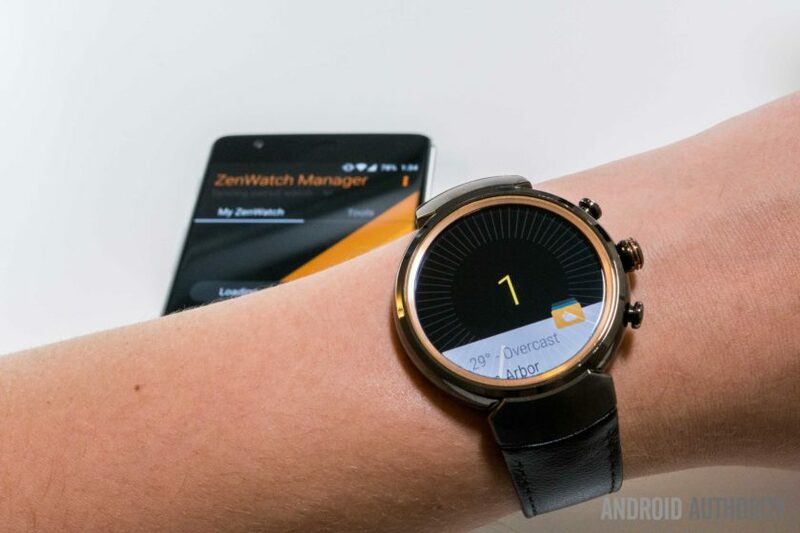 Not long after Android Wear’s inception, ASUS entered the smartwatch market with the original ASUS ZenWatch. Although it didn’t quite offer the same level of appeal as the circular Moto 360, it marked the beginning of one of the best Android Wear lines to-date. 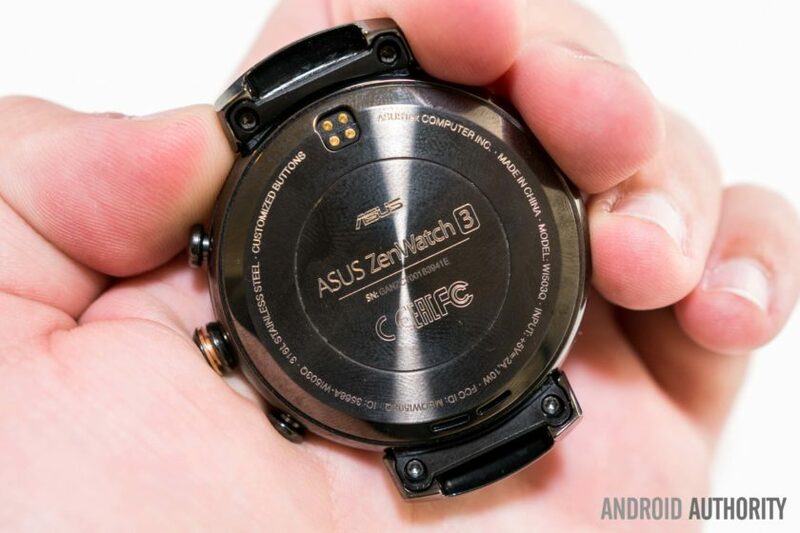 Two years and one iteration after its debut, the ZenWatch line is going circular with the ZenWatch 3; but does ASUS’ latest smartwatch offer a better experience than its competitors? 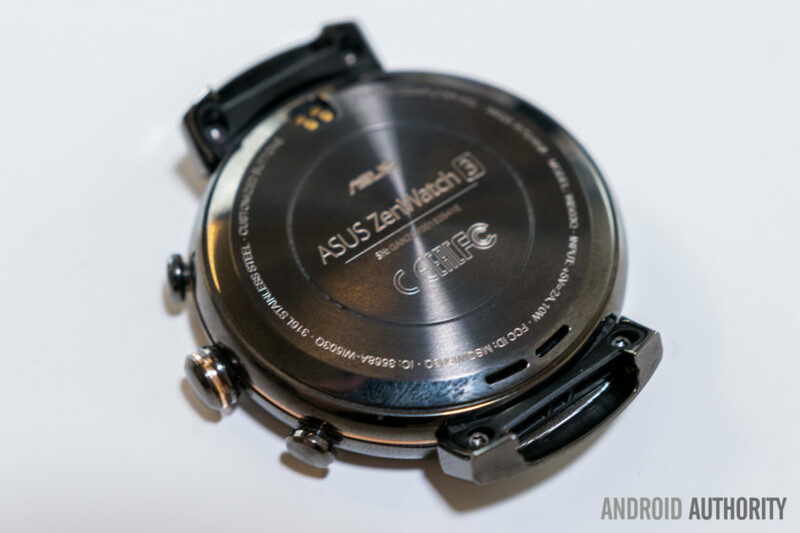 Let’s find out with our comprehensive ASUS ZenWatch 3 review! The ZenWatch 3 is available in three color options: Rose Gold, Silver, and Gunmetal (pictured above). Perhaps the most compelling design aspect is the watch face; a circular display is surrounded by an accented, diamond cut bezel, which meets with the device’s housing. Unlike the Moto 360, the ZenWatch 3 manages to pull this circular design off without a “flat tire.” There’s also still an ambient light sensor for automatic brightness. Encased in a 316L stainless steel body, the ZenWatch 3 certainly gives off a premium vibe from a material perspective. Its lugs may appear a bit unusual at first glance, but they actually compliment the rest of the design quite nicely with their subtlety. 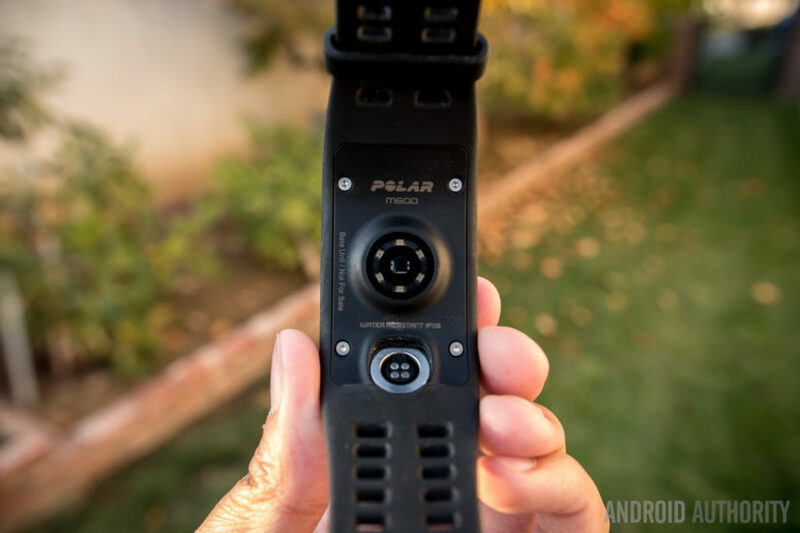 The wrist strap attachment mechanism is easy to use with its quick release pin, although it is proprietary, so you won’t be able to easily use third party bands. 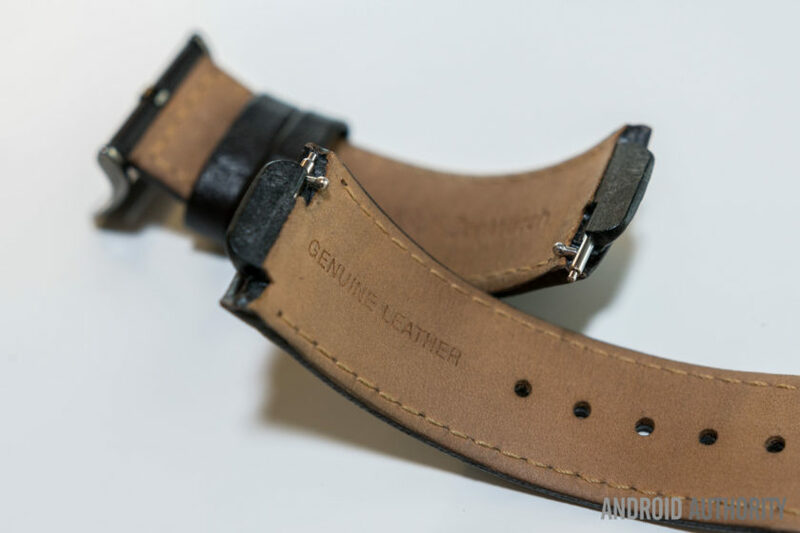 ASUS is planning to sell both leather and rubber bands separately, each available in dark brown and beige. With that said, the leather wrist strap that comes with the watch is surprisingly good, offering a good deal of both comfort and style. It may, however, be a tad too small for those with very large wrists. Despite having relatively small wrists myself, the ZenWatch’s band fit around the middle notch. If you’re worried about this, you should consider trying on the watch in a retail store before purchasing to make sure it fits well. ASUS has also included three side buttons on the ZenWatch 3, all of which are satisfyingly tactile. Functionally speaking, the bottom button turns on airplane mode, the center button functions as a back button, and the top button can be set to launch an app of your choice. However, I very rarely found myself using these buttons, and often opted to interact with the touch screen instead. Quite frankly, three individual buttons feels excessive from a design perspective and overly complicated from a user experience perspective, so I would have preferred just a single customizable side button. Still, the buttons that ASUS has included both look and feel very premium. All things considered, the ZenWatch 3 offers a unique and stylish design. Some may argue that the gold bezel accent is a bit tacky, but I think it fits in well with the rest of the watch’s aesthetic. For what it’s worth, many of my friends commented on that aesthetic, and the general consensus was quite positive. 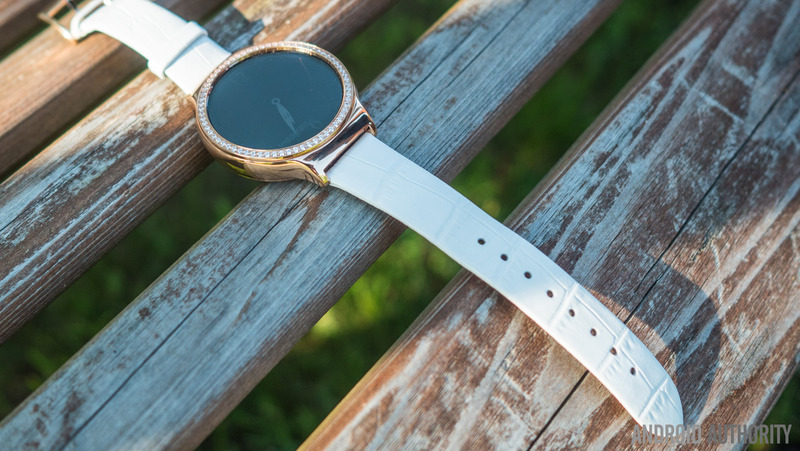 The ZenWatch 3 features a 1.39″ circular AMOLED display, with a resolution of 400 x 400. 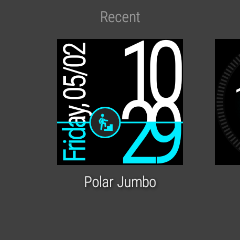 This is very likely the best display on a smartwatch to date. The ambient light sensor allows for auto brightness, too, so you won’t have to worry about constantly fine tuning the brightness manually. My only gripe with this is that the ZenWatch tends to lower auto brightness levels, which can be a bit problematic in bright environments. Hopefully a software update can tweak this a bit. 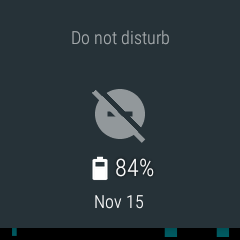 There also isn’t a proper low brightness mode, so the watch’s “theater mode” just turns the display off completely. Sunlight readability is great though, and probably some of the best you’ll obtain from this form factor. One of the ZenWatch 3’s key advantages over last year’s Android Wear devices is its use of a Qualcomm Snapdragon Wear 2100. This chip has been touted to offer better performance and battery life since it’s designed specifically for smartwatches. 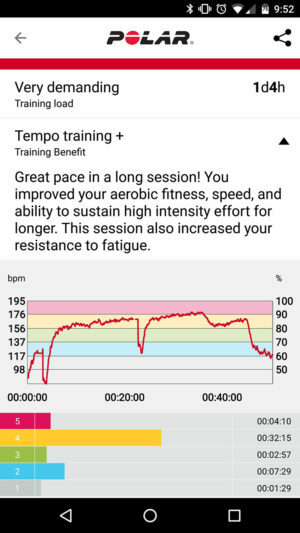 The better performance claim seems to hold water, too, as the ZenWatch 3’s performance was excellent during my testing. Swiping between cards and panels is very smooth, and it’s generally difficult to find an appreciable amount of lag throughout the interface. There’s also 512 MB of RAM, which is pretty much standard for Android Wear smartwatches. With IP67 certification, the ZenWatch 3 is dust proof and water resistant, meaning that it can be submerged in up to one meter of water for thirty minutes. While we wouldn’t recommend taking a shower with it, you won’t have to worry about it getting wet when washing your hands or sweaty when exercising. 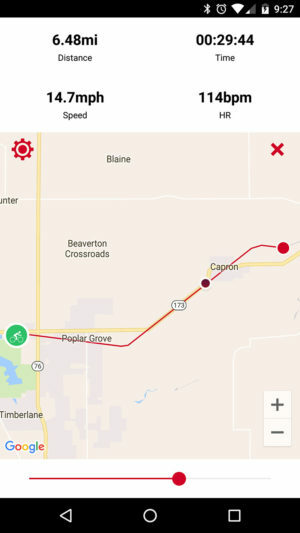 For connectivity, the watch primarily uses Bluetooth 4.1 to connect with your phone, but also supports Wi-Fi as a fallback. 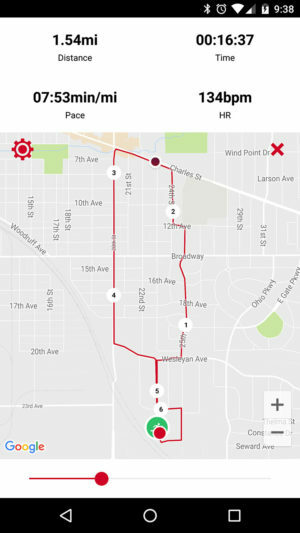 Unfortunately, it lacks GPS and NFC, so you’ll be missing out on standalone Wear apps that use GPS as the potential for Android Pay, which will likely be coming in an upcoming update to Android Wear. It’s also lacking a heart rate monitor, which is fairly disappointing considering many competing Android Wear options include one. 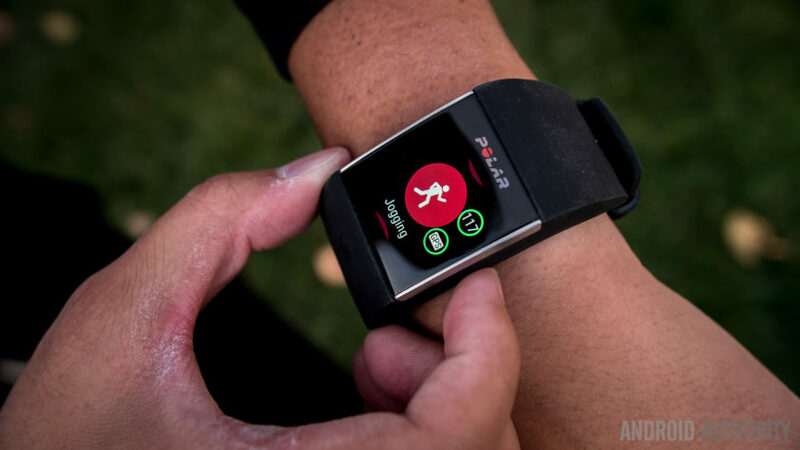 It does, however, include both a microphone and speaker, meaning that you’ll be able to place and receive calls on the watch directly. 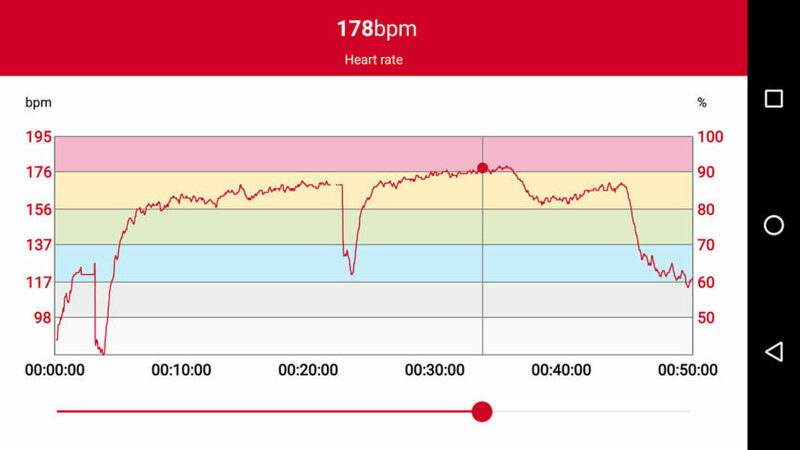 In my testing, both functioned about as well as I had expected. ASUS claims the ZenWatch 3’s 340mAh battery should last one to two days, depending on your usage. 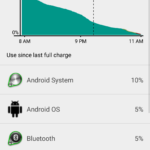 With moderate usage, I was able to get around twenty four hours per charge, which is about average for an Android Wear device. What makes the ZenWatch 3 particularly strong in this category is that it supports fast charging, for up to a 60% charge in fifteen minutes. 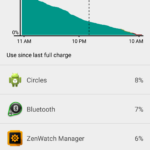 In fact, the ZenWatch 3’s fast charging speed made it possible to fully charge it while I got ready each morning, which usually means about forty minutes on the charger. 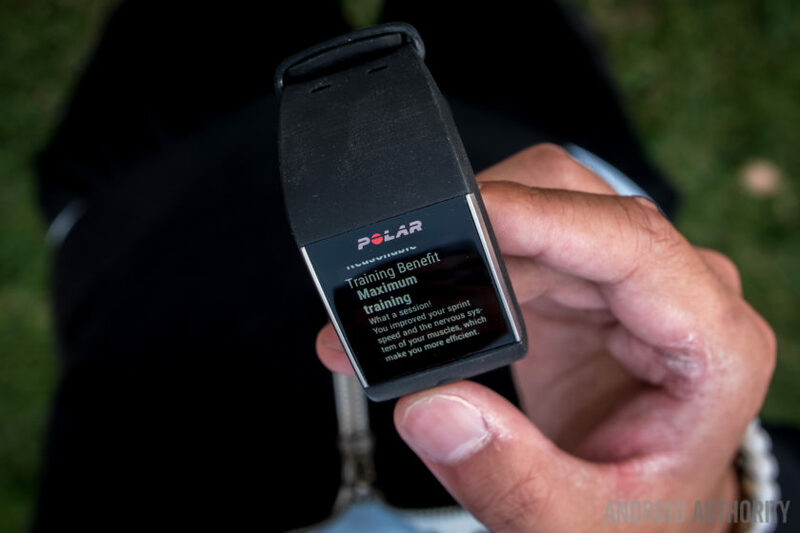 The included charger connects to the watch magnetically and transfers power through the watch’s underside pins; it generally works quite well, too. I would have liked to see a longer charging cable, however, as the one included in the box is a bit short at around a meter. Unfortunately, it doesn’t seem that you can currently buy a longer or even extra charging cable for the ZenWatch 3, so you’ll want to keep this in mind. There’s not much to say when it comes to software. Shipping with Android Wear, the ZenWatch 3 provides an identical core experience to other Android Wear smartwatches. I did notice a few minor bugs while using the ZenWatch 3, but those can most likely be blamed on Google. The good news is that it looks like this watch will be updated to Android Wear 2.0, so the software experience will likely improve over time. With that said, the general interface today sounds complicated but is actually quite easy to use. 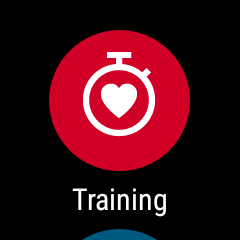 The watch’s “home screen” is simply a watch face of your choice. From there, you can swipe up to see and act on different cards, which are added as you receive notifications on your phone. So, for example, if you receive a text message from a friend, you can simply swipe up on your watch to read it and have the opportunity to respond with your voice. Since it is running Android Wear, the ZenWatch 3 is compatible with both Android 4.3 and higher as well as iOS 8.2 and higher, although features will vary by platform. Still, if you’re using an iPhone, this is a great, cheaper alternative to the Apple Watch. 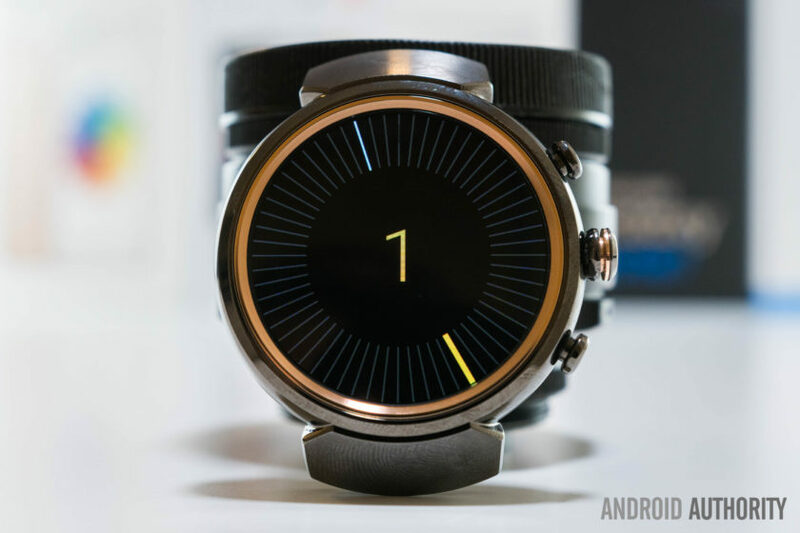 ASUS has a ZenWatch Manager app, which adds over fifty different exclusive watch faces. 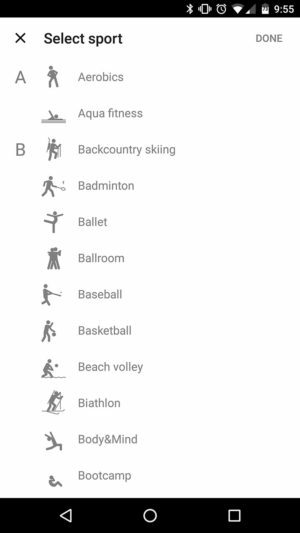 That’s an impressive number of options, but unfortunately there’s only a few really good ones. 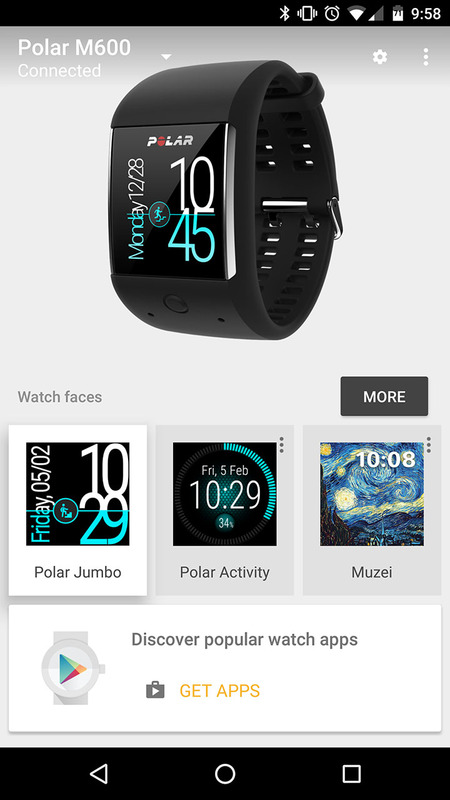 Do keep in mind that you can always download third party watch faces from the Google Play store, however. 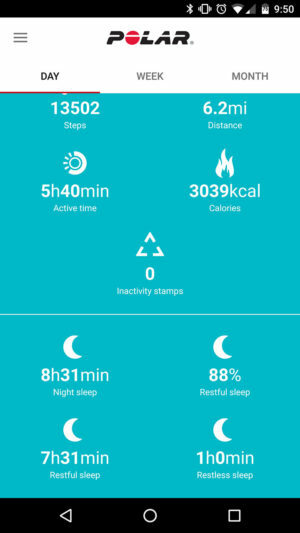 There’s also ASUS ZenFit, a built-in app that tracks steps, workouts, and sleep. 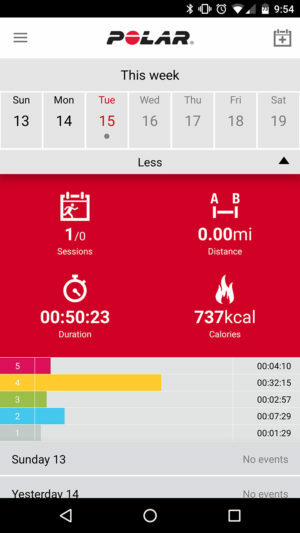 I found it to work very well overall, too, and was happy to see that includes Google Fit integration. The ASUS ZenWatch 3 is now available from various retailers for $229. That’s a great bargain for what ASUS has brought to the table. It’s very difficult not to fall in love with the ZenWatch 3 with its beautiful design, great display, excellent performance, and solid hardware. 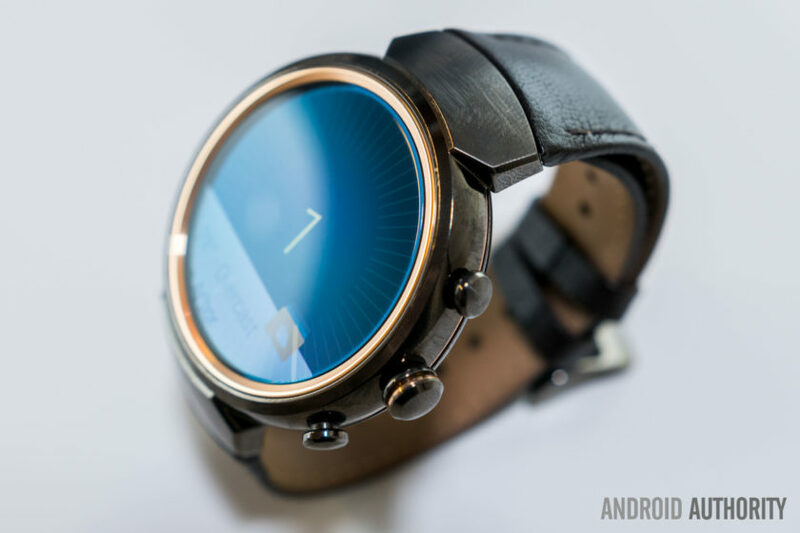 If you’re looking for what is likely the most well-rounded smartwatch to date, look no further. With that said, smartwatches largely still feel like a novelty. As much as I love the ZenWatch 3’s hardware, the overall experience isn’t enough for me to keep using it. Currently, it simply doesn’t do enough more than my smartphone, which I always keep on me. I understand that some will absolutely love having notifications on their wrist, but I personally find it too distracting. 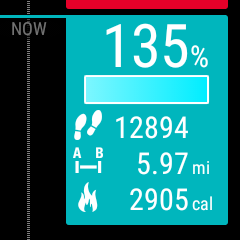 I also don’t request much more than my daily step count in terms of fitness, which my phone can also keep track of. Here’s the thing ― smartwatches, at least in their current form, aren’t for everyone. If, however, you know the smartwatch concept is for you, the ZenWatch 3 is a great choice and you almost certainly won’t be disappointed. 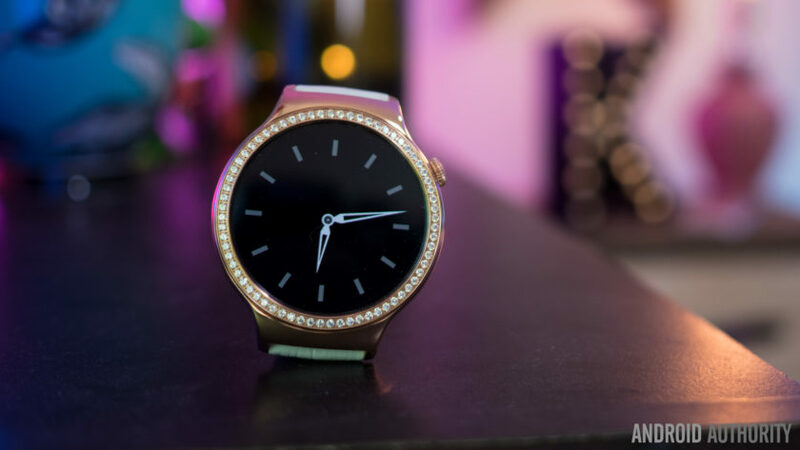 Several popular Android Wear devices like the Moto 360 and Fossil Q remain incompatible with the iPhone 7 and iPhone 7 Plus, according to a report by The Verge. 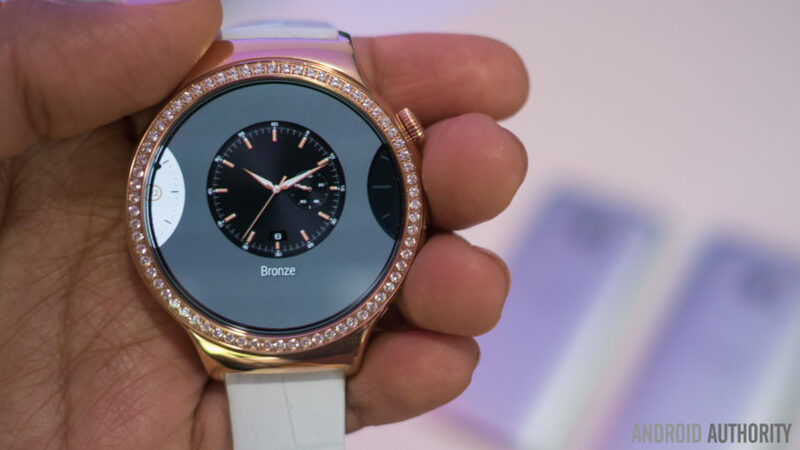 Owners of the Android smartwatches have been able to use the devices with the iPhone 5 or later since Google added support for iOS back in August of last year. 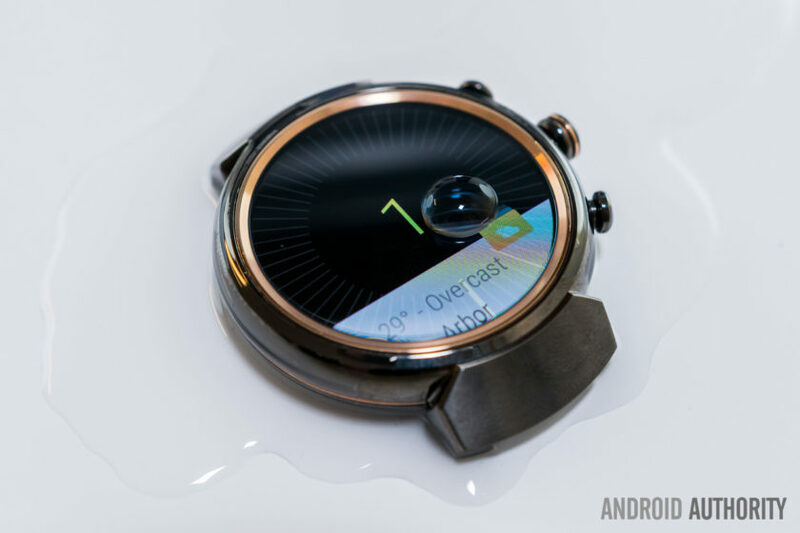 However, as evidenced by a raft of complaints in an Android Wear discussion thread, the Moto 360 (2015), Moto 360 Sport, Tag Heuer Connected, Asus Zenwatch 2, and Fossil Q Founder are all unable to properly pair with the iPhone 7, with many users’ watches hanging during the setup process. Apple recently fixed some compatibility issues between Android Wear devices and iOS 10 with the release of iOS 10.0.2, but the reported problems with specific models of watch appear to remain. Google says it is aware of a “serious pairing issue” and is investigating a fix. 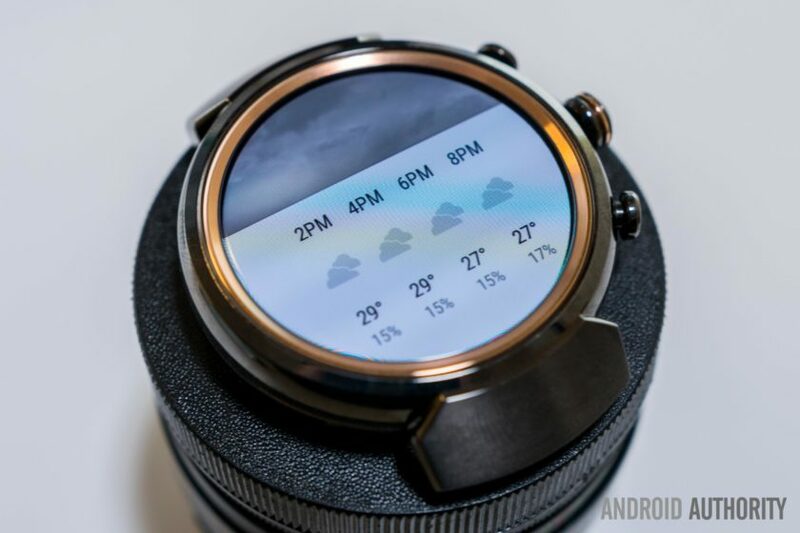 The Android Wear iSO app supports Google’s Voice search and enables iPhone lock screen notifications to be mirrored on the watch faces. 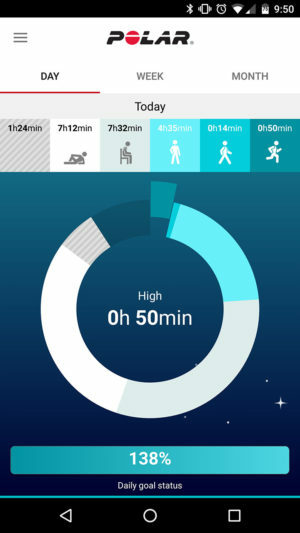 It also lets owners of the devices make use of services like Google Now and Google Fit, as well as the watches’ Weather and Translate features. 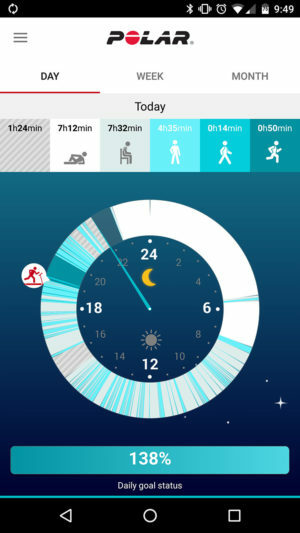 In addition, the app includes a handful of ‘curated’ watch faces for users to choose from. 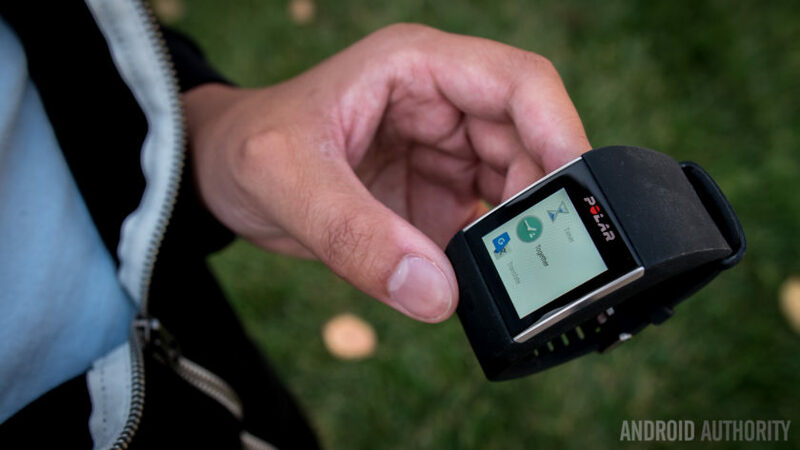 Last week, we reported that Google is said to be working on its own branded pair of smartwatches, in a break from its traditional reliance on third-party manufacturers to come up with the hardware for its Android Wear OS. Given the continuing interest in rival smartwatches of the round-faced variety, some readers may be interested in the latest renders showing what Google’s upcoming pair of wearables could look like. The image above published by Android Police, the site of the original leak, is described as an accurate “recreated image” of primary source material, used to preserve the anonymity of the source. The site also warns that the devices are still under development and therefore may ultimately differ from the design shown. 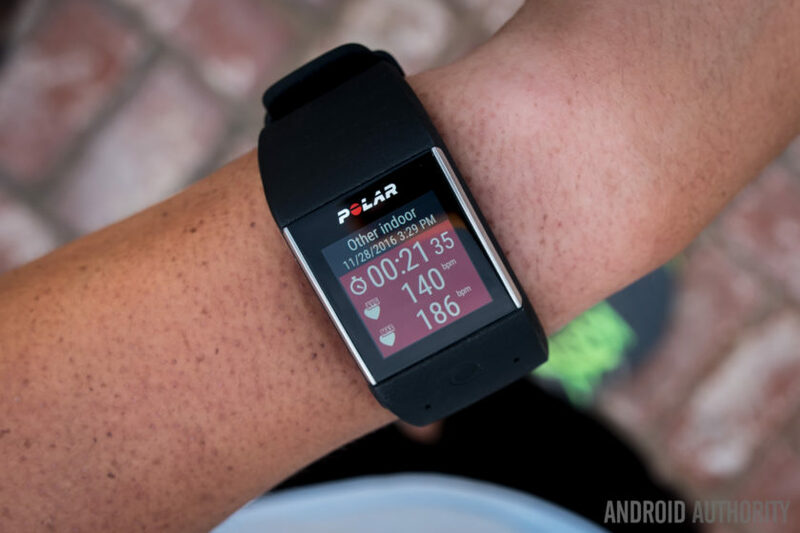 With those caveats in mind, the larger watch render on the left is based on the 43.5mm “Angelfish”, which is said to feature a heart-rate monitor, GPS, and LTE cellular connectivity for standalone use. The watch has three buttons, where third-party Android Wear devices typically have one, suggesting possible Google Assistant integration with contextual alerts. According to the report, the Angelfish will not be compatible with Android Wear Mode watch bands. The smaller 42mm device, codenamed “Swordfish”, offers just the one crown button and is thought to lack the HRM, GPS and LTE smarts of the larger watch, but will be compatible with Android Wear Mode watch bands. The report states that Google avoided Motorola’s flat-tyre design issue by adding a thick bezel between the display and ring, making the screen much smaller. Both displays show the customizable watch face of Android Wear 2.0 demoed at Google I/O this year. Unlike the Google-branded phones which are said to be coming this year, it’s not clear when the company plans to release the watches, although they could potentially appear alongside Google’s next range of Nexus smartphones slated for 2016, or with the launch of Android Wear 2.0 this fall. There is no word on pricing as yet. 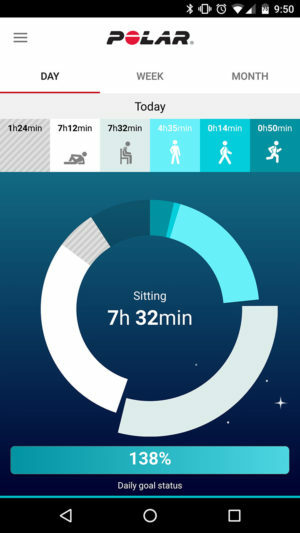 In related news, Fitbit is also said to be testing two new wearable devices, slated to launch this September. 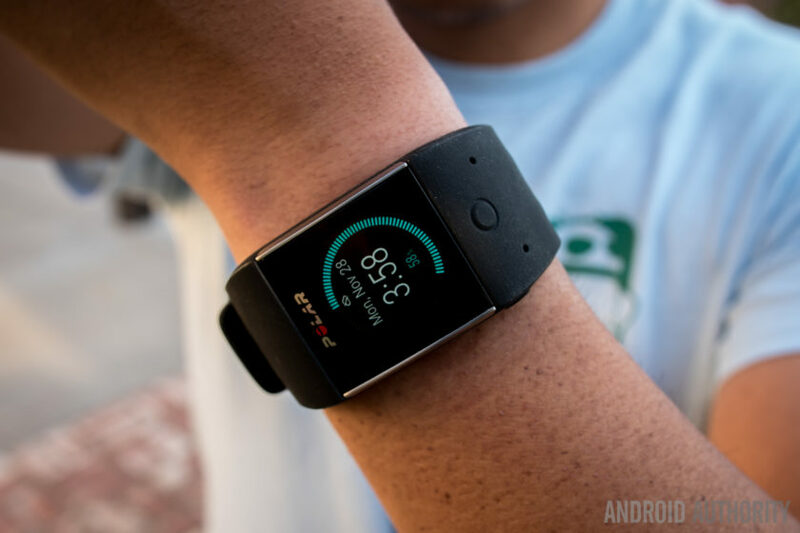 According to tech site Wareable’s source close to Fitbit’s beta testing team, the company is using atom-themed codenames as internal monikers for the two upcoming devices – the same method used to test both the Alta and Blaze late last year. “Laryon” and “Fermion” are currently being used in the wild under similarly veiled “black wrist covers” to preserve secrecy. 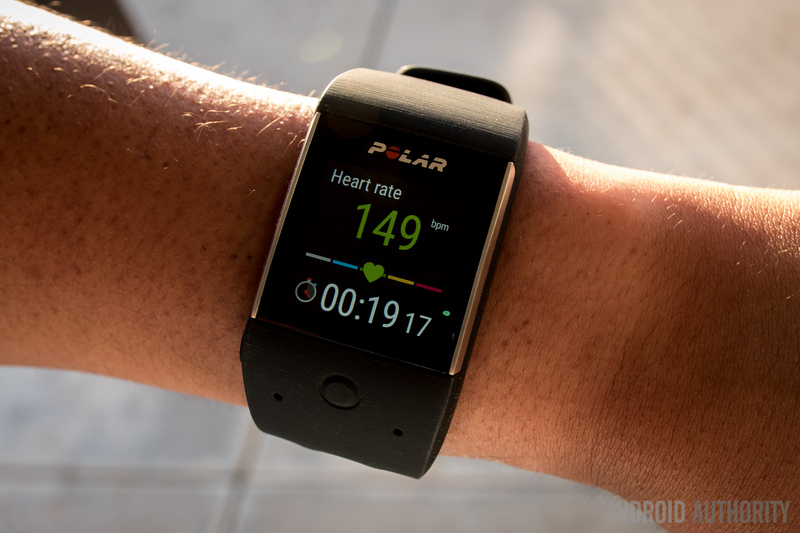 The devices are thought to be successors to the Fitbit Flex and Fitbit Charge after trademark applications for the Mark II devices were recently discovered. One of the more common complaints when it comes to smartwatches is their big, bulky, and often industrial design that sometimes looks out of place even on average-sized wrists, and seem to be catered exclusively towards men. 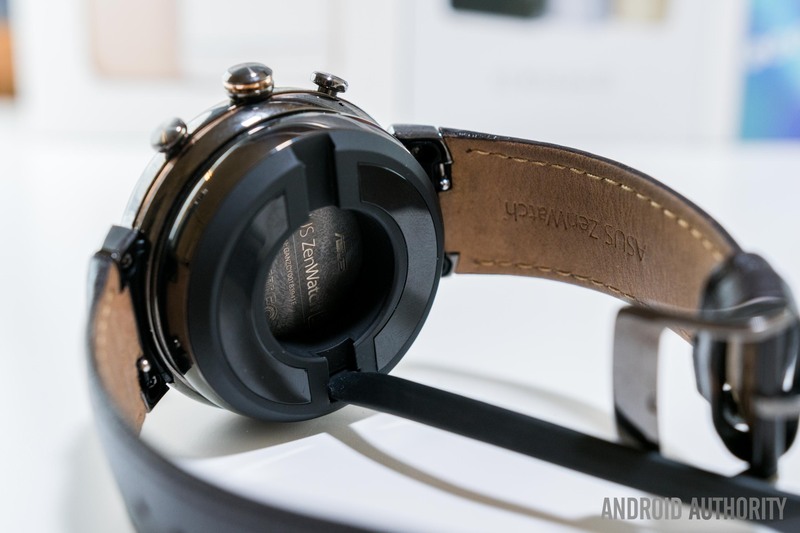 While not the most compact smartwatch out there either, Huawei attempted to address some of these concerns last year with their Android Wear offering, the Huawei Watch, which featured a very elegant design, and one of the classiest we’ve seen thus far. 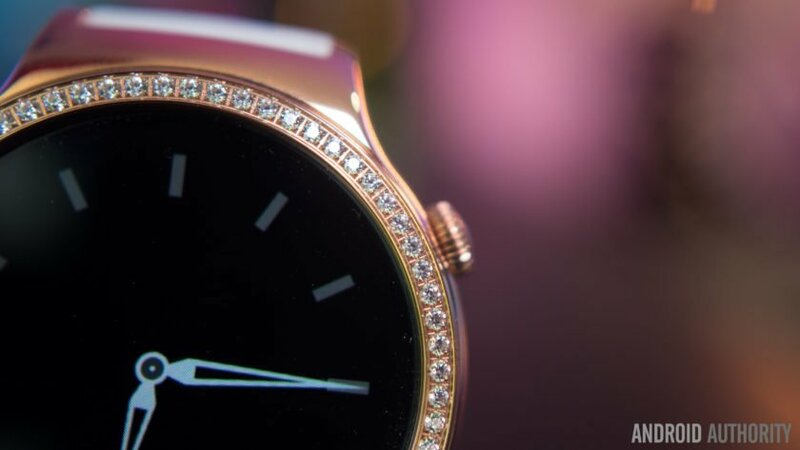 However, there was a market requirement that needed to be filled, and Huawei did just that, with the introduction of the Huawei Watch Elegant and Huawei Watch Jewel, first unveiled at CES earlier this year. While these devices will look great on anybody’s wrists, they were certainly designed with women in mind. Today, we’ll be taking a closer look at the latter, in this in-depth Huawei Watch Jewel review! 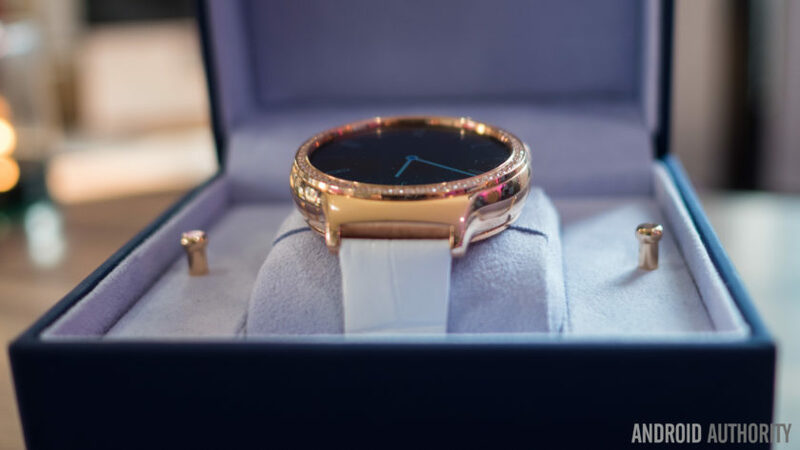 As was the case with the original Huawei Watch, the classy, elegant, and high-end experience that is on offer with the Huawei Watch Jewel starts not with the device itself, but the packaging as well. 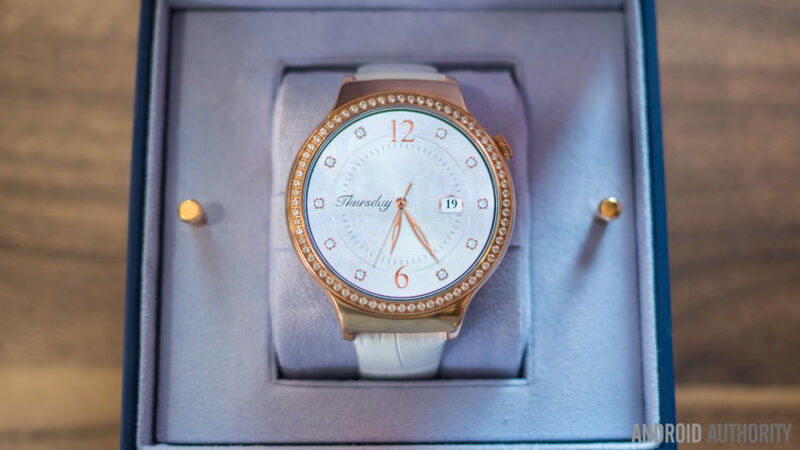 You get a beautiful unboxing experience with this smartwatch, with a stylish box that springs open to reveal the watch in all its glory, nestled within the soft, fuzzy, velvet interior, with the words, “timeless design, smart within,” printed at the top. Pulling up on the small gold handles, included to ease the struggle with lifting the internal cover, removes the encasing. Below this is where you will find the usual device documentation, the proprietary charging cable, the magnetic charging platform, and an AC wall plug. As mentioned, Huawei has released that two smartphones that have been designed to cater to women. 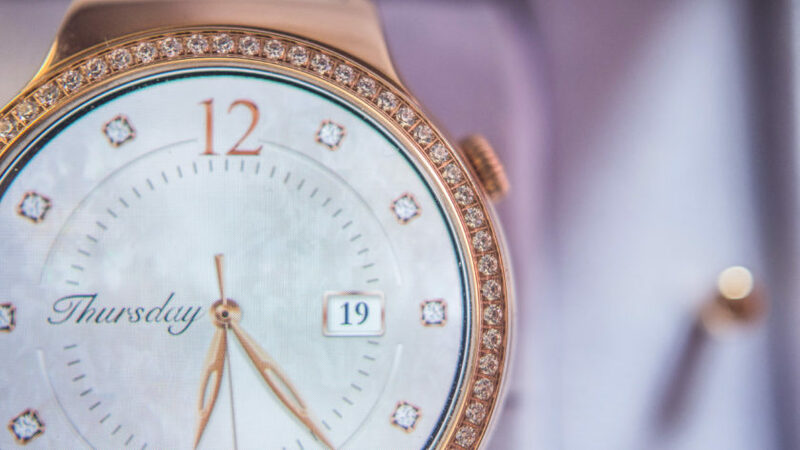 The one we will be taking a closer look at in this review is the rose gold Huawei Watch Jewel, which gets its name from the 68 1.5 mm Swarovski Zirconia stones that border the display, while the other, the Huawei Watch Elegant, comes with a rose gold stainless steel body as well, but replaces the stones in favor of a knurled pattern ring around the screen. 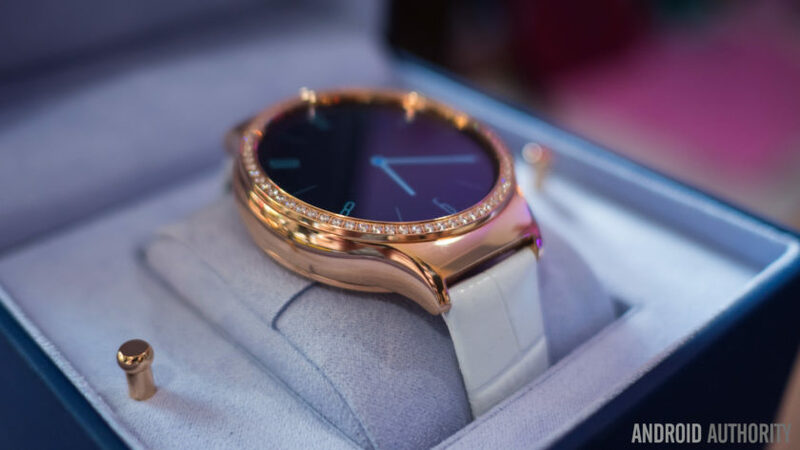 As is the case with its namesake, the Huawei Watch Jewel comes with a round display, which is the direction more and more Android Wear device manufacturers are heading, allowing for a more traditional look and feel. The round display can make viewing some content a little bit difficult, but in terms of design, this is definitely the better option. The crown is positioned for easy access at the 2 o’ clock position, and while it does rotate, it only functions when pressing it. Pressing the crown turns the display on or off, and a long press will take you directly into the Settings menu. There are a few options available when it comes to watch straps, with the standard version of the Jewel and Elegant coming with blue and white Italian leather straps respectively. However, this particular review unit features a white leather strap with a snakeskin pattern, that adds to the overall elegance of the watch. 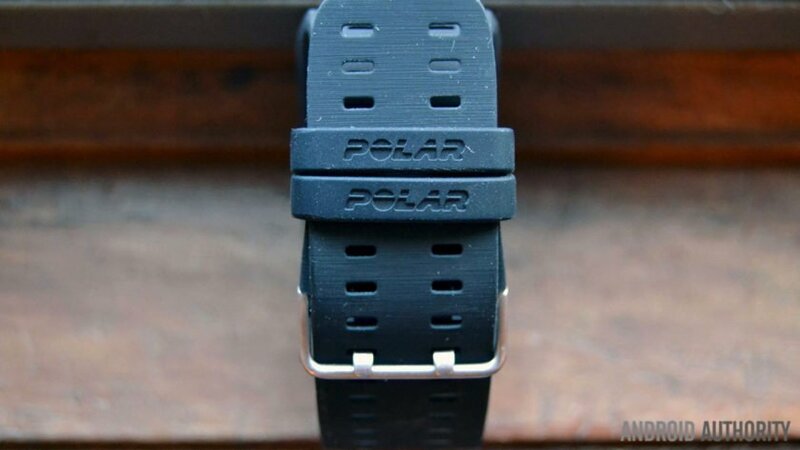 With a width of 18 mm, the band itself is thinner than the 21 mm strap that is available with the original, which not only puts a bigger emphasis on the watch itself, but allows for it to sit very comfortably on the wrist. That said, the new designs mean the Huawei Watch Jewel body is actually larger than the original Huawei Watch, with the diameter increased to 44 mm from 42 mm, and the thickness bumped to 12.45 mm from 11.3 mm. The large size can take some getting used to, but actually adds to the elegance of the design by offering ample space for the larger number of stones. Yes, it’s certainly bigger but it’s not unbearable and considering the added stones and increased beauty, the larger design is not an issue. This watch may be the rose gold version, but you don’t really see the pink hue that is usually associated with this color option. In fact, it looks much closer to the regular gold version, with a pink tinge appearing only when the body of the watch catches the light at the right angle. The striking element of this design has to be the jewels, 68 1.5 mm Swarovski Zirconia stones, that are encrusted into the top ring. These stones don’t fail to sparkle regardless of what the lighting condition is, and will definitely catch the eye and turn heads. However, this ring around the frame sits high up and above the level of the display, which can make it a touch difficult to pull menus from the sides of the screen with your finger. 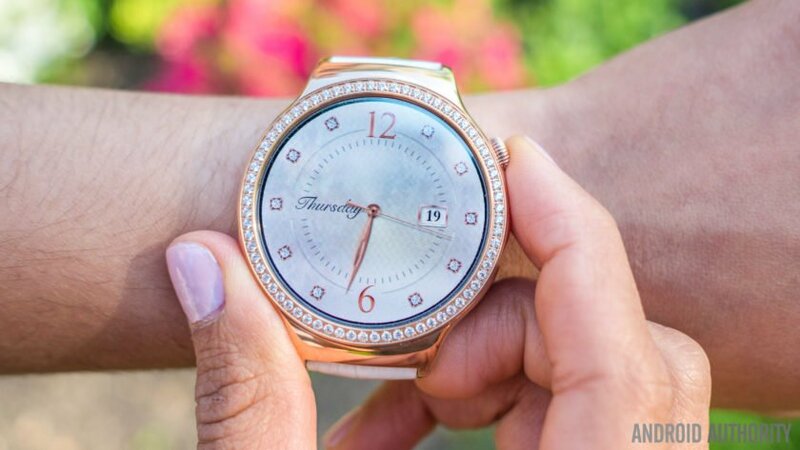 The Huawei Watch was already a stylish and flashy smartwatch to begin with, but the company takes things to a whole other level with the Watch Jewel. It may seem a little out of place in certain situations, and is difficult to pair with more casual attire. 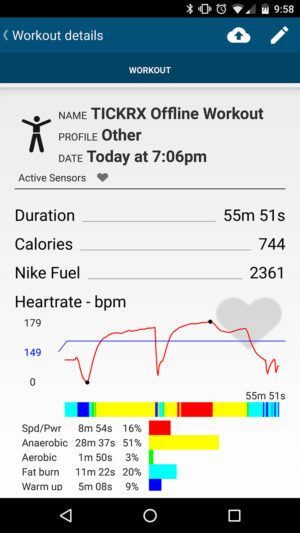 For example, the Watch Jewel will certainly stand out like a sore thumb if you are planning to wear it to the gym. 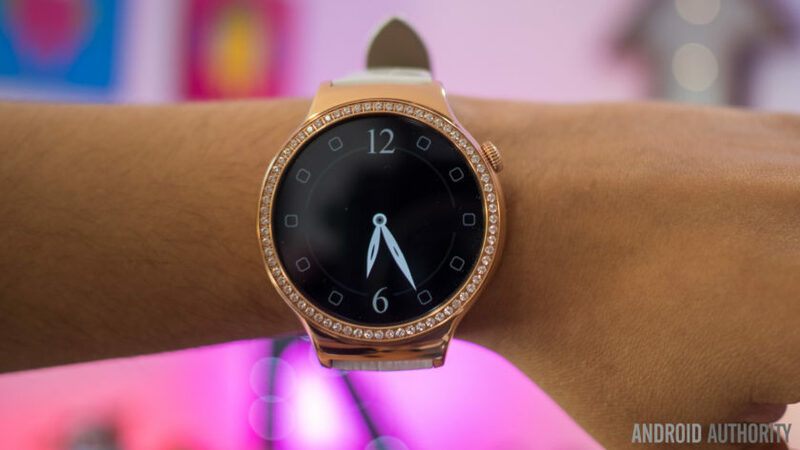 That being said, the design is absolutely fantastic, and the rose gold version of the Huawei Watch Jewel is definitely one of the most flashy and luxurious smartwatches that is currently available in the Android Wear space. Apart from the design, everything else remains the same when comparing the Huawei Watch Jewel and its namesake. As such, the Watch Jewel also comes with a 1.4-inch AMOLED display, with a 400 x 400 resolution, and allows for one of the best smartwatch display experiences available right now. Using an AMOLED display has its advantages, with it helping keep the watch from using too much power, given that for the majority of your day, the watch will be in an ambient mode, that utilizes a black background, with a white outline of your watch face. Not only does this look great, with the deep, inky blacks that are seen, but there is a lot of power saving here, with only around 10 percent of the display being lit. The major gripe with the Huawei Watch is the lack of an ambient light sensor, which means that the brightness of the display has to manually be set by you. At the highest levels, it can be blindingly bright in low-light conditions, and will require a little more micromanagement than you’d like. The good news is that the brightness at the preset level proves to be good enough to allow for comfortable outdoor visibility. 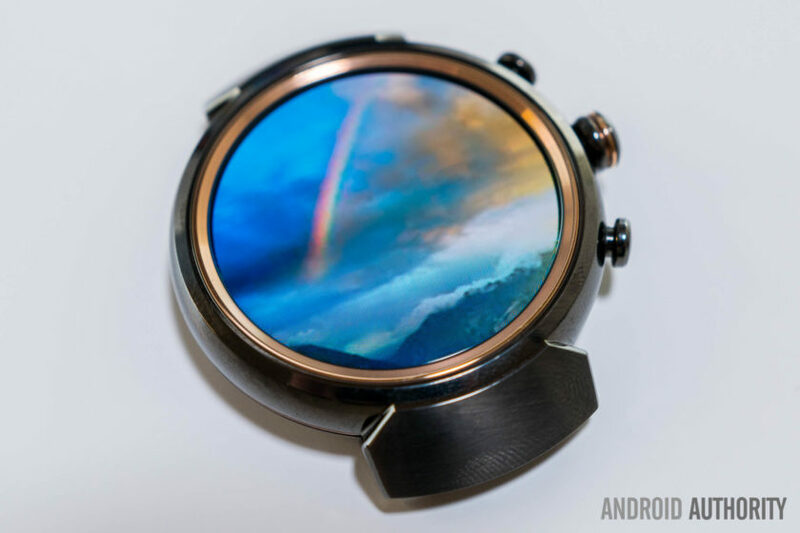 As mentioned, things under the hood remain identical to the Huawei Watch. 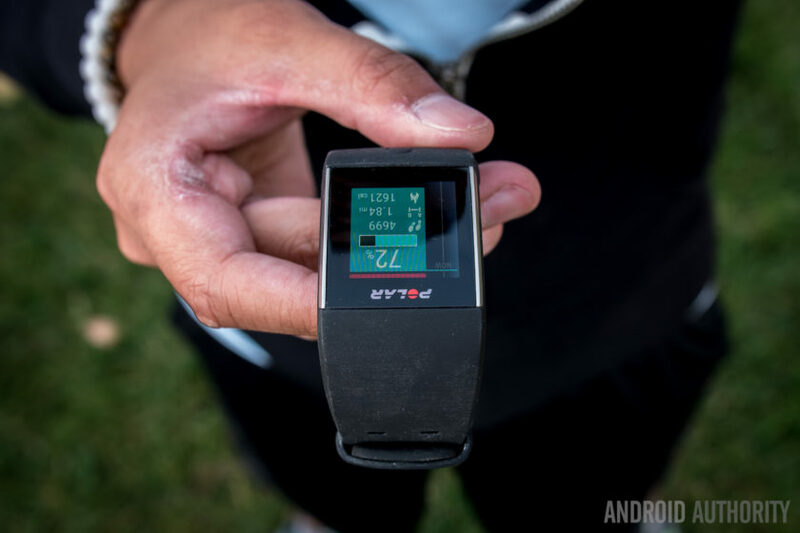 What you get here is a Snapdragon 400 processor, backed by 512 MB of RAM, which is the standard processing package as far as Android Wear devices are concerned. 4 GB of on-board storage is also available for those looking to locally store any data, like music. Android Wear isn’t very processor-intensive at all, and as such, the performance is as smooth and snappy as expected, with no notable performance issues found with the Watch Jewel. The Watch Jewel comes with a 300 mAh battery, which stands up well to Huawei’s claims of the device allowing for 1.5 days of use. However, this does mean that you will find yourself having to at least top up the charge everyday. Included in the box is a magnetic charging platform, which isn’t the most elegant solution when it comes to charging your smartwatch. Although it is magnetic, you still have to make sure that the pins line up correctly before snapping it into place. It can be quite annoying to get this alignment right, and if you aren’t careful, you may end up with an uncharged watch the next day. The Huawei Watch Jewel is running Android Wear, and if you’ve ever used an Android Wear smartwatch before, you will be right at home with the software experience, given that it is identical across the board. Notifications are found in the form of cards, and you have the option to dismiss them, or swipe to the left to further interact with them. There’s a pull down menu for certain settings, and swiping to the left on the watch face brings up apps, contacts, and Google Now. It is a very streamlined and simple experience, and provides a great way to help avoid having to pull your phone out of your pocket every few minutes. 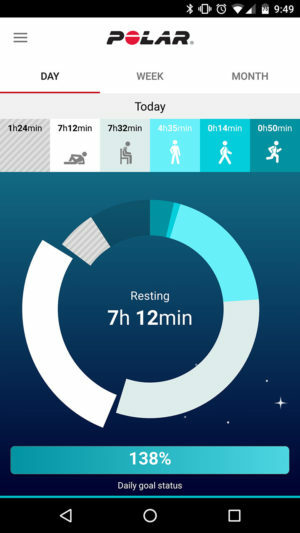 Android Wear can best be described as a notification center, and while Huawei as included their own Health suite, things remain largely the same. However, there are big exciting changes coming with Android Wear 2.0, which will take the Huawei Watch Jewel smartwatch experience to an entirely different level when it is released later this year. The Huawei Watch Jewel is priced at $599.99, with the Elegant iteration without the Swarovski Zirconia stones available for $100 less. So there you have it for this closer look at the Huawei Watch Jewel! Between the beautiful AMOLED display, and the elegant crystals that surround it, the Watch Jewel is in a class of its own. 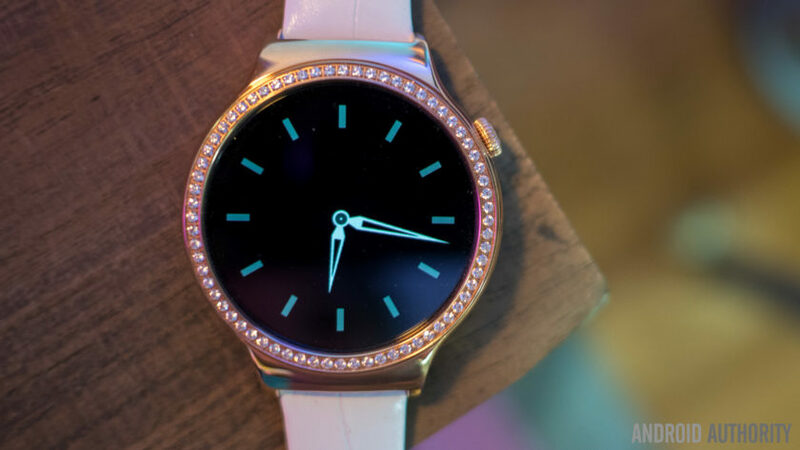 It is admittedly very flashy, which can be a turn off for some users, but some women will certainly appreciate that there is now a smartwatch available that was designed with them in mind. The Watch Jewel is also definitely on the higher side of the price spectrum, and if you are looking for something a little less showy, the Watch Elegant is priced at a 100 dollars cheaper. However, the new designs are certainly worth the price, and if you are in the market for a elegant, classy smartwatch, the Huawei Watch Jewel is one of the better options out there. After getting back home from CES 2016, I had a few days to think about what I had just witnessed. Attending one of the largest technology trade shows in the world was a first for me, and it was quite interesting, to say the least. The entire Las Vegas Convention Center was packed full of different vendors and plenty of companies with which I was unfamiliar. I recognized many of them, but it was clear to me from beginning that this trade show featured far more than smartphone-controlled toys and “revolutionary” Bluetooth speakers. There was an underlying theme that very clearly showed off what the future of consumer technology will look like in 5, 10 and even 50 years from now. The theme that I’m talking about is being connected, or the general idea that everything with which we interact on a daily basis will be able to communicate in order to make our lives easier. We still have a way to go before “dumb” devices are a thing of the past, but we’re getting there. Here are just a few things that consumers can expect to see in the technology world in 2016. The “Internet of Things” is a buzzword that’s been growing in popularity, and for good reason. Just about every technology company out there, whether we’re talking about smartphone OEMs or accessory makers, have launched at least one connected product over the past two years or so. According to Gartner, there will be upwards of 6.4 billion connected “things” in use worldwide in 2016, up 30 percent from 2015. The research company also says the number of IoT devices will reach 20.8 billion by 2020. Unless Gartner is incredibly off with their predictions, it’s looking like the IoT craze shows no sign of stopping. Pretty much every household item you can think of has some type of connected variant out in the wild. But that’s not really a good thing. With the addition of one really cool and useful connected product added to the IoT world, there are 5 more that are completely pointless. From the GreenIQ Smart Garden Hub that takes the “hassle” out of watering plants, or the $100 Vessyl smart cup that monitors how much water you drink (seriously). Every time the IoT “revolution” looks like it’s going to start changing, it just stays the same, and that probably won’t change in 2016. It might in 2017 and 2018, but not this year. 2016 won’t give us as many connected devices as we’re used to, but that doesn’t mean companies are giving up on the connected home. Now that we have proper standards like Google’s Weave and Project Brillo, as well as Apple HomeKit, device makers will start producing products that adhere to these standards rather than adhering to their own. This means that there will be less fragmentation from here on out, and that is a very good thing for the connected home as a whole, and a not-so-good thing for early adopters. Connected devices that will be launching next year will begin to work well and talk to one another, which is where the smart home idea starts to take shape. But that also means that many of the products that launched in 2014 and 2015 won’t be compatible with Weave, HomeKit, or even standards that are being put in place by Samsung, LG, Nest and Amazon. The Internet of Things will always be fragmented, and there’s no way around that. Things will start taking more shape over this next year, sure, but we still won’t see as much progress in this space in 2016 as many of us have hoped. 2016 is going to be an iconic year for virtual reality. This is the year Oculus, who have been working on a consumer version of their Rift headset for going on four full years now, will finally come to market. After a seemingly endless amount of delays, the Rift will ship out to early adopters in March for $599, which surprisingly isn’t as much as many folks were expecting the first-gen headset to cost. Years ago the Rift was considered to be the quintessential virtual reality experience. But it’s been a long time coming, and other VR platforms have already surpassed the Rift in making their way to consumers. That brings us to the other high-end VR platform, the HTC Vive. Now known as the Vive Pre, HTC’s foray into the VR world marks an iconic one for the well-known electronics maker. It gives the company not only a way to make up for its failing smartphone business, it also puts them in a scenario that’s quite reminiscent of a time when smartphones were just becoming popular. HTC was on the forefront of smartphone design and Android software innovation, and that’s similar to what it plans to do with virtual reality. HTC may not have been building its VR platform for as long as Oculus have, but the company will be one of the first to market, and that’s important. When it comes to higher-end VR platforms like the Oculus Rift or HTC Vive, we’re going to see lots of baby steps in the year to come. Oculus and HTC already have hundreds of content creators making great games and apps for their platforms, though not everything will be a smash hit right out of the gate. Like all emerging trends in tech, 2016 will be a year in which we find out what works and what doesn’t. On the opposite side of the high-end spectrum, there are a few affordable options that have already made their way to consumers. Samsung’s Gear VR, which was made in partnership with Oculus, is a consumer-friendly VR headset that’s powered by a user’s Samsung smartphone. The headset itself only costs about $100, and works with any of Samsung’s latest flagship Android phones. The Gear VR is somewhat of an entry level product, bridging the gap between the Oculus Rift and Google Cardboard. It’s not cheap, but not nearly as expensive as the higher end options launching this year. No, the Gear VR isn’t launching for the first time in 2016, but I think we will see a large influx in sales in the coming year. Virtual reality is popular right now, and the Gear VR is hitting all the right notes to fly off store shelves. But why is VR so popular nowadays? Sure, the Rift and Vive are really cool products, but they didn’t start the widespread craze. That’s mostly thanks to Google Cardboard. First released in 2014 as somewhat of a joke product at Google I/O, this affordable headset has been growing in popularity ever since its inception. It’s super affordable, easy to use, and lightweight. Cardboard headsets aren’t the most durable things ever, but there’s something to be said for being able to make your own VR headset out of a pizza box. Google isn’t just pushing to bring Cardboard to everyday consumers, either. Since 2014, Google has launched two new programs that will help the widespread of VR – “Expeditions” and “Jump.” Expeditions is a way for students and teachers alike to take field trips to basically anywhere in the world, without ever having to leave the classroom. Google will actually send out phones, Cardboard headsets and a tablet for the teacher, allowing the class to take a virtual field trip, all at the same time. Google also unveiled Jump a few months ago, which allows anyone interested to create 360-degree video capture rigs. Videos captured with these (albeit expensive) rigs will be converted into immersive 3D content that everyone can experience on the web. 2015 was a pretty big year for VR, and 2016 will be even bigger. Oculus, Samsung, HTC and Google are all doing their best to go mainstream with VR, and that’s very apparent by the progress they’ve all been making thus far. Aside from the already announced devices, there’s no telling what else we’ll see out of VR this year. But it’s an area in which some of the biggest names in technology are focusing their efforts, so we should probably expect to see some big improvements in this space in 2016. 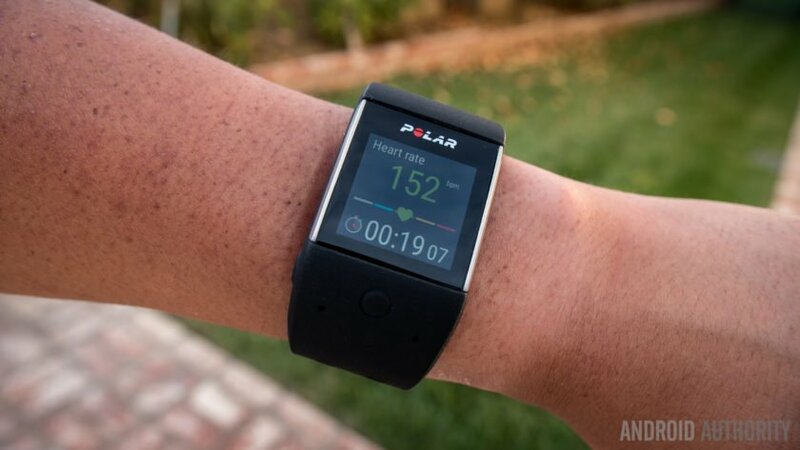 Connected wearables have been around for years now, but they didn’t start getting good until just last year. 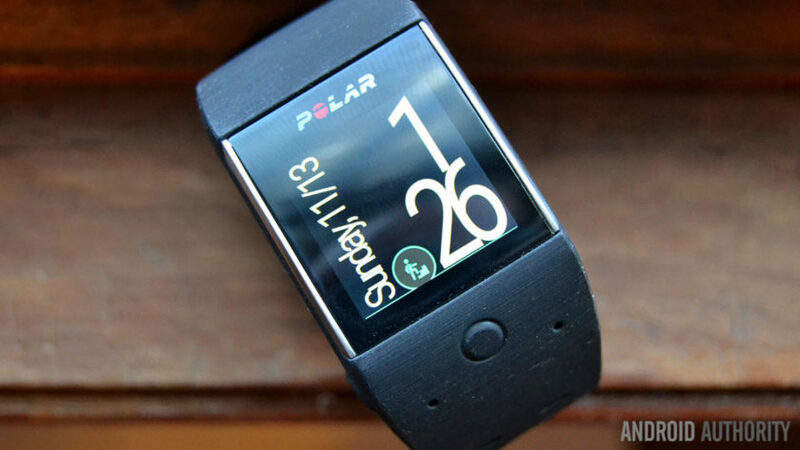 Some of the first smartwatches on the scene – Pebble, Sony Smartwatch, Martian Passport – were good first steps, don’t get me wrong, but they couldn’t really do much other than feed you notifications and tell the time. Oh, and they weren’t very attractive, either. 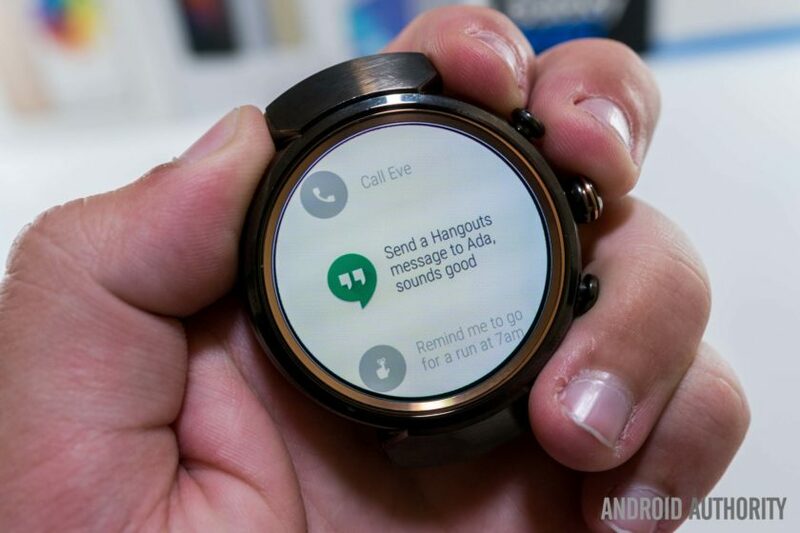 Then Android Wear came onto the scene, and a lot changed. Google’s new wearable platform proved that connected wristwatches could not only provide notifications, driving directions and restaurant recommendations, they could also look good while doing it. The first wave of Wear devices weren’t the most stylish things, and it took a little while for them to stop looking so much like computers on our wrists, and start looking more like fashion accessories. And after a brief lull in the first part of 2015, the second wave of Wear devices arrived. The Huawei Watch and Moto 360 (2nd Gen.) were great all-around devices, with impressive battery life, higher-resolution displays and better designs than the first-gen watches. But they were built by smartphone manufacturers. 2015 also ushered in a new wave of smartwatches built by actual watchmakers, such as the TAG Heuer Connected and Fossil Q Founder. I have no doubt that more and more high-end watchmakers will try their hands at smartwatches in 2016, and that’s exciting. TAG Heuer and Fossil proved that they can make high-end smartwatches, so it’ll be interesting to see which other companies try to flex their smartwatch-making skills. We know we’ll see at least one smartwatch from Casio in 2016, but other than that, watchmakers have been remaining pretty quiet. 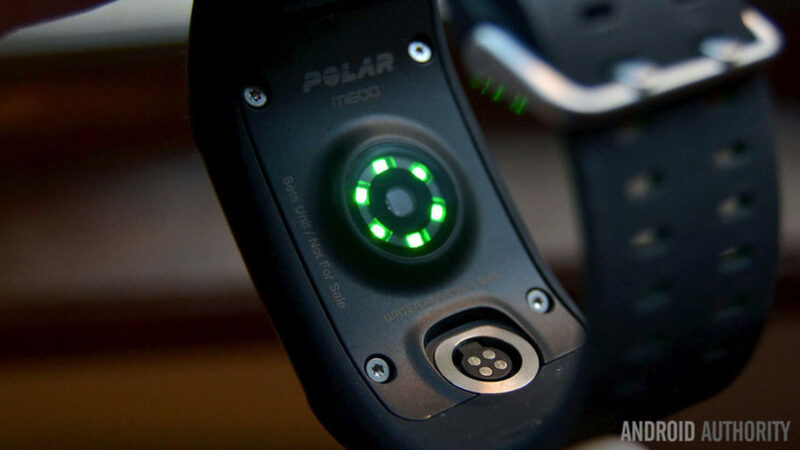 In 2016, the third wave of Wear devices will arrive. There will be more options and less sacrifice, which means more consumers will get on-board with the wearable trend. As far a specifics are concerned, we can likely expect new wearables from LG and Motorola, and possibly even Huawei and HTC. 2015 was a big year for mobile payments. We saw the launch of Android Pay, Samsung Pay and a wider rollout of Apple Pay. Starting off with the first on our list, Google officially launched Android Pay in September 2015. This was the app that was meant to both compete with Apple Pay and replace the longtime pre-installed Google Wallet app on our Android phones. It’s not compatible with a huge amount of banks at the moment, and many major retailers still haven’t integrated the platform into their payment terminals. If you do have a larger bank that supports Android Pay and happen to find a supported retailer, the payment process is generally pretty easy – unlock your phone, hold your device next to the terminal, and you’re all set. Samsung also launched its own mobile payment service in 2015, called, you guessed it, Samsung Pay. This one is a bit different than Android Pay, as the service works with not only standard NFC-enabled terminals, but it’s also backwards-compatible with legacy terminals. By using the payment system’s “magnetic secure transmission” technology, your phone will be able to make payments by means of a small electromagnetic field that closely resembles that of a credit card swipe. This is particularly handy when you’d like to use your phone to make a payment but the store at which you’re shopping doesn’t accept NFC payments. There’s also Apple Pay, which is quite similar to Android Pay. They use the same technologies to make payments, though Android Pay can be installed on any device running Android 4.4 KitKat or later, whereas Apple Pay can only be used on newer iPhones. The launch of these three mobile payment services come at a time where mobile payments are, for the most part, still a very new thing to the everyday consumer. It’s not too farfetched to think that a wider rollout of mobile payments will happen in the coming year. Here are a few reasons why paying with our smartphones will grow in popularity. Deals, deals, deals – it won’t be long until we see new and exclusive coupons, discounts and loyalty schemes make their way to mobile payment platforms. We’re already starting to see deals come to Android Pay from Google, such as the Tap 10 promotion that started over the holidays. It’s a good way for Google to get more users on board with Android Pay, and this is definitely not the last time we’ll see users get rewarded for using the platform. Personally, I’ve been pretty shy about using mobile payments. The last thing I want is to hold up a long line at a store because I can’t get my mobile payment to go through, which is probably the main reason I’ve held back from using it. As more businesses start adopting the payment methods, more places will start to advertise Android/Apple/Samsung Pay as an incentive to visit their stores. Once everyone has their payment terminals upgraded to work with these platforms, users – like me – will feel more comfortable pulling out their phones to pay, instead of having to guess which businesses support the service, and which ones don’t. It will ultimately be a slow adoption process, and that process will be spearheaded by the younger generation of users. Younger consumers generally have fewer apprehensions when it comes to experimenting with and eventually adopting new technologies. That’s certainly true for mobile payments, where security concerns are more pronounced among older consumers. Ultimately, mobile wallets will need to have a strong track record of security to attract more users across all demographics long-term. Google, Apple and Samsung are doing their part to make sure these payment methods are safe to use. They’re constantly thinking of more ways to enhance security, like adding new layers of fraud protection such as tokenization, where transactions can be completed without sharing sensitive info like a user’s credit card number or card expiration date. A wider rollout to more banks and retailers is just half the battle – these three companies will need to build trust overtime. This past year was interesting one for mobile security. Back in July, a team of security experts at Zimperium discovered a potential exploit (nicknamed Stagefright) in Android that would allow hackers to gain access to Android devices by simply sending a malware-laden MMS. Although no users actually fell victim to this exploit, it still caused quite an uproar, as it meant millions of Android users were vulnerable to the attack until the manufacturer of their smartphone sent out a security patch. This proved to be a problem, though, since many Android OEMs have been notorious for not sending out security updates in a timely fashion. Just about everyone that owned an Android phone – and many folks who didn’t – made a big deal out of the potential harm that could come from an exploit such as this one. Even though no one was ever affected by this exploit, that didn’t matter. What did matter was that Google and OEMs needed to take security more seriously, and they did just that. Soon after this became a big deal, Google announced that it would commit to pushing out monthly security-focused over-the-air updates to Nexus devices, in addition to regular platform updates. These fixes would also be released to the public through the Android Open Source Project (AOSP). This was certainly good news for Nexus owners, but they weren’t the only Android fans that would get monthly security updates. Soon Samsung, LG, Motorola, and many other OEMs announced that they’d also commit to rolling out security patches each month. 2015 was a year for changes in mobile security, and 2016 will be a year of refinement. What we hope to see in the year to come are more timely updates from manufacturers that have promised to roll out regular security patches. Do I think this will happen? Not so much, but I’m remaining hopeful. Aside from the first wave of Stagefright patches, not many manufacturers have kept up on their promises. I hope this changes in 2016. Other than security patches, we saw a few other consumer-facing advancements on the mobile security front. Google added native fingerprint support to Android 6.0 Marshmallow, allowing for manufacturers to take advantage of a more advanced authentication-based security method. In 2015, mostly all major manufacturers included a fingerprint on their flagship devices – Google, Samsung, LG, OnePlus and a few others. In 2016, we’ll see more manufacturers jump onboard with the fingerprint craze, and we’ll see biometric scanners get even better. Advancements in biometric technologies will not only help consumers access their data faster, it will also put us one step closer to Google’s goal of doing away with passwords altogether. What are your thoughts? Do you think we’ll see any other major advancements in the consumer tech world? Be sure to speak up in the comments. Snapdragon Wear and the Snapdragon Wear 2100 have already been made available to companies interested in using the technology, so it shouldn’t be long before new Android Wear devices backed by it start hitting the market. The first smartwatch with a Snapdragon Wear 2100 processor will likely come from LG because the company was named in Qualcomm’s press release and the two have a relationship with roots in wearables. SAN DIEGO, Feb. 11, 2016 /PRNewswire/ — Qualcomm Incorporated (NASDAQ: QCOM) today announced that its subsidiary, Qualcomm Technologies, Inc., has introduced Qualcomm® Snapdragon™ Wear, a new platform for next generation wearable devices, and the Snapdragon Wear 2100 system-on-chip (SoC), the first in a new product family designed to bring new and enhanced wearable experiences to consumers. Additionally, customers can develop both tethered and connected SKUs using the same PCB design, thus reducing development costs. 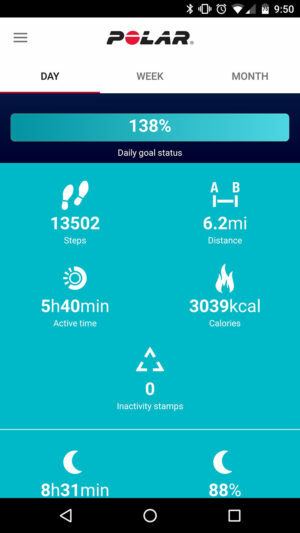 Snapdragon Wear 2100 supports both Android Wear, and Android and is targeted for next generation connected and tethered smartwatches, kid and elderly watches, smart bands, and smart eyewear and smart headset segments. 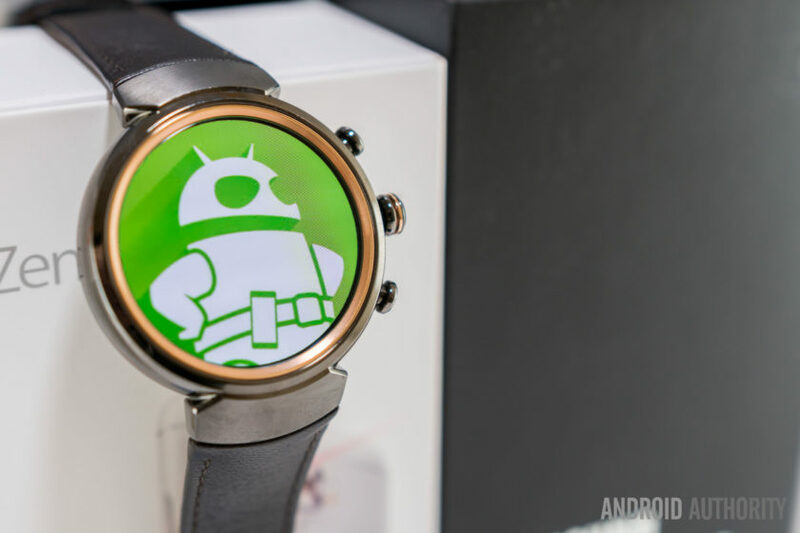 Qualcomm Technologies’ Snapdragon processors already power the majority of Android Wear smartwatches. 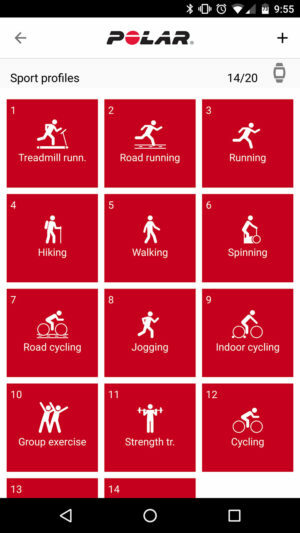 Earlier this year, Qualcomm Technologies announced that its technologies are used in 65 wearable devices across 30 countries with 50 more expected to launch later this year. Snapdragon Wear 2100 and other products within the Snapdragon Wear platform are available today. Qualcomm Incorporated (NASDAQ: QCOM) is a world leader in 3G, 4G and next-generation wireless technologies. Qualcomm Incorporated includes Qualcomm’s licensing business, QTL, and the vast majority of its patent portfolio. Qualcomm Technologies, Inc., a wholly-owned subsidiary of Qualcomm Incorporated, operates, along with its subsidiaries, substantially all of Qualcomm’s engineering, research and development functions, and substantially all of its products and services businesses, including its semiconductor business, QCT. For more than 30 years, Qualcomm ideas and inventions have driven the evolution of digital communications, linking people everywhere more closely to information, entertainment and each other. For more information, visit Qualcomm’s website,OnQ blog, Twitter and Facebook pages. The majority of Android Wear smartwatches use the Qualcomm Snapdragon 400, an ARM based System-on-a-Chip which comes in either dual-core or quad-core configurations. While it is an excellent processor, the truth is that it was designed for smartphones and not wearables. Following the success of the Snapdragon 400 in Android Wear devices, Qualcomm has decided to make a range of chips that will specifically target the wearables market. The new processors will use the Snapdragon Wear moniker and the first chip in the series is the Snapdragon Wear 2100. The two key features of the Snapdragon 2100 are its reduction in size and an increase in power efficiency. According to Qualcomm the Snapdragon Wear 2100 is 30 percent smaller than the Snapdragon 400, which should help OEMs build thinner and sleeker devices. 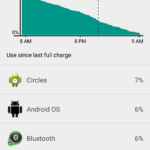 It also uses less power, 25% less according to Qualcomm. 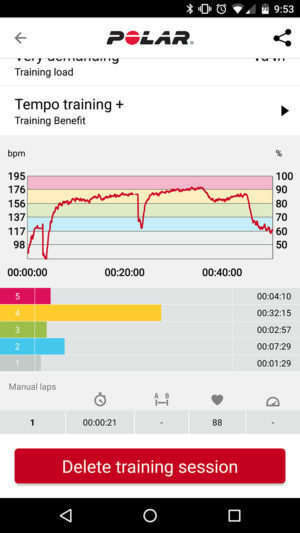 If there is one huge problem with wearables at the moment it is battery life, so any progress in making the battery last longer is very welcome! Qualcomm is also keen to point out that the Snapdragon Wear 2100 has an integrated, ultra-low power sensor hub, which will allow for the use of more sophisticated algorithms and greater accuracy than the Snapdragon 400. LG will be releasing new smartwatches and other wearable devices that use the Wear 2100 later this year. Like some variants of the Snapdragon 400, the Snapdragon Wear 2100 uses four Cortex-A7 cores running at a max clock speed of 1.2 GHz. There is a Adreno 304 GPU which support OpenGL ES 3.0. The choice of GPU is interesting as ARM recently released the Mali 470, which only supports OpenGL ES 2.0, the logic being that smartphones don’t need OpenGL ES 3.0 and the implementing 2.0 needs less space and is more power efficient. However, Qualcomm exclusively uses its own GPUs in its chips, so the 304 is probably the lowest GPU in it current portfolio. In terms of connectivity the Wear 2100 is available in both wirelessly tethered (Bluetooth and Wi-Fi) and connected (4G/LTE and 3G) versions with the latter supporting LTE FDD & TDD, WCDMA, TD-SCDMA, EV-DO & CDMA 1x, and 2G GSM/EDGE. Earlier this year, Qualcomm announced that its technologies are used in 65 wearable devices across 30 countries. LG partnered with Qualcomm for the launch of the Snapdragon Wear 2100 and according to David Yoon, vice president, wearables, LG Electronics, the electronics giant will be releasing new smartwatches and other wearable devices that use the Wear 2100 later this year. Interestingly, because the Snapdragon Wear 2100 supports normal Android as well as Android Wear, it could start to appear in some low-end smartphones as well! 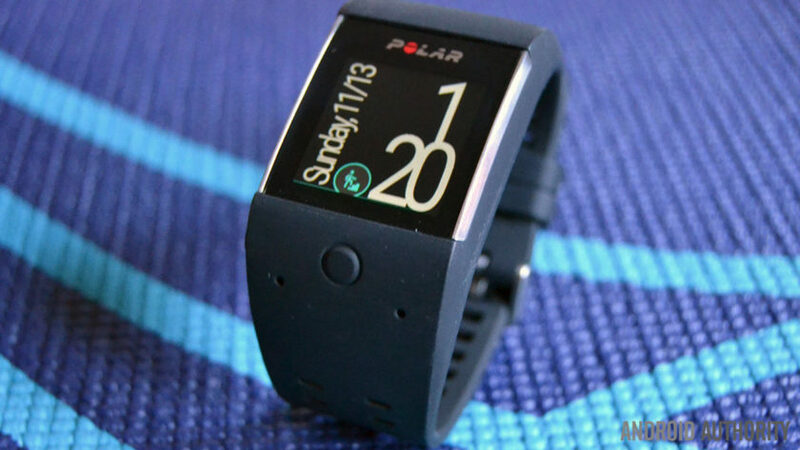 However its intended market is smartwatches, kid and elderly watches, smart bands, smart eyewear and smart headsets. Overall this is a good move by Qualcomm. It has established an early lead as the de-facto processor supplier for wearables and consolidating this position will be important for Qualcomm’s long term growth into new sectors. 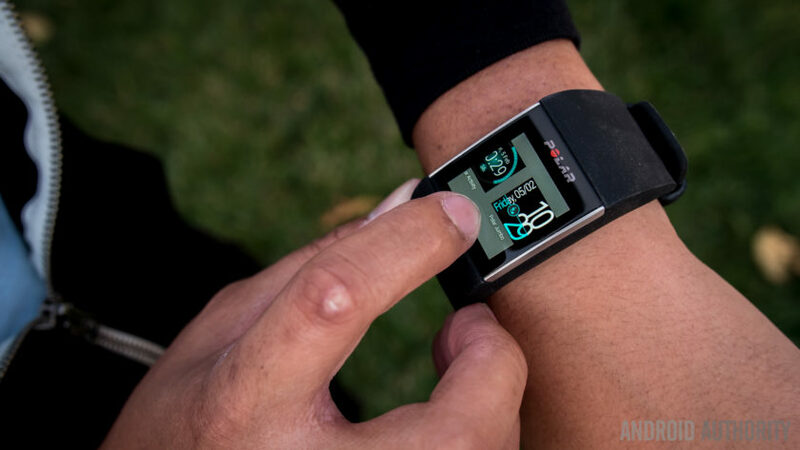 Earlier this year, Qualcomm announced that its technologies are used in 65 wearable devices across 30 countries. It also said that at least 50 more wearable devices will launch this year with Qualcomm tech inside. What do you think, will this new processor make wearables sleeker with longer battery lives? 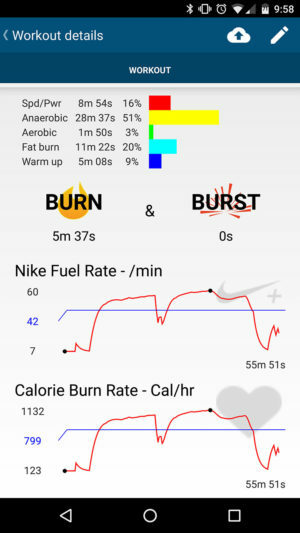 Facer has long-been the first app many smartwatch owners think of when they consider watch face design and customization. It was one of the first of its kind, offering stylish options for the Android user on the go. Now, however, competition in the market has become more fierce. To stay abreast of its rivals, Facer has deducted $.99 from it’s original $.99 price tag and opened up a store of in-app purchases. Since Facer is now free, they’ve got to monetize it somehow. Instead of having you pay upfront for the full service, the devs are making most of the app’s functionality available for free and then charging for exclusive, premium watch faces. This line of deluxe watch faces will include branding from the likes of Ghostbusters, American Dad, Garfield, and Sugapop. Word on the street is that Star Trek is next in line to receive a custom smartwatch face, and there can be little doubt that new fun faces are coming down the pipe as well. In addition to sporting your favorite franchise, you’ll also be able to choose from a curated storehouse of upscale themes that are sorted by categories. 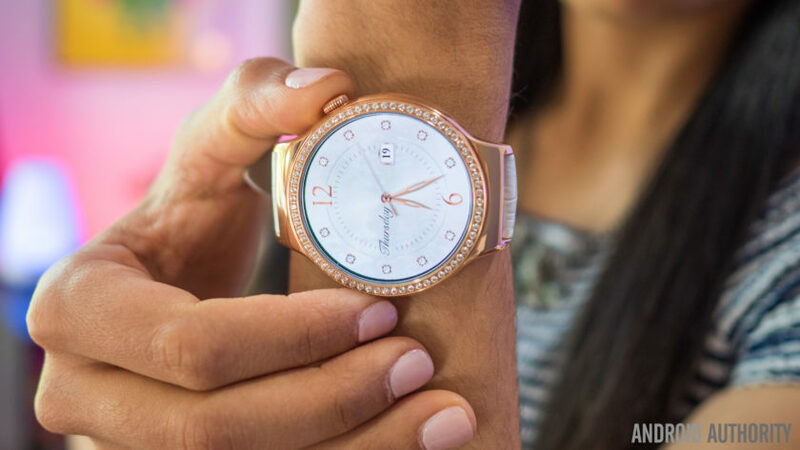 Search or browse to find the smartwatch face that’s perfect for your attitude. You can even create a catalogue of your own masterpieces via the My Designs section. 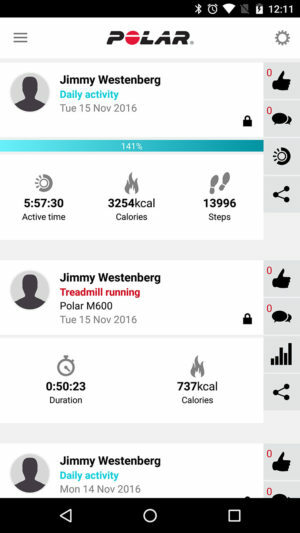 Check out the Facer Creator to get started on your own watch faces right away. Are you a Facer user? If not, what is your go-to smartwatch face app? Give the all new freemium version of this app a spin by clicking the button below, and don’t forget to tell us your thoughts in the comments!